Free, but book on 01606 271640. On 12 August 1842 Lancashire factory workers marched in protest at appalling pay and conditions. 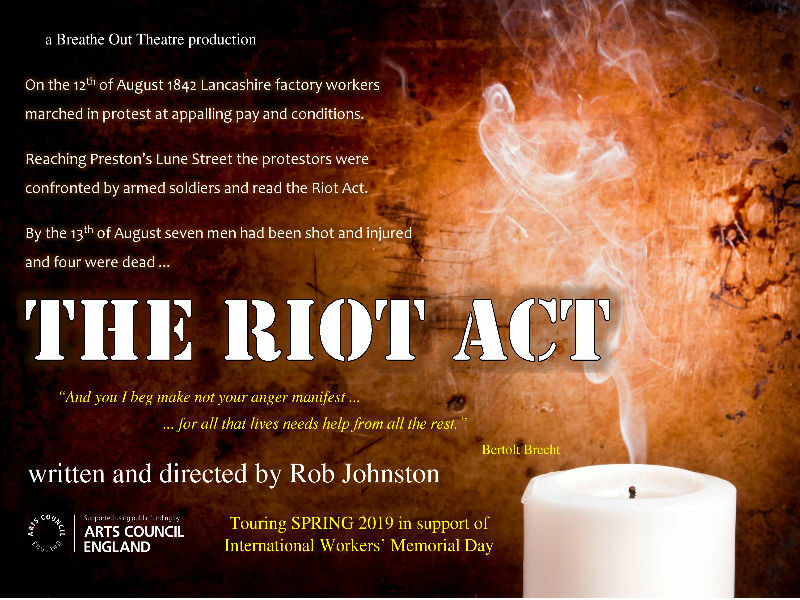 Reaching Preston’s Lune Street they were confronted by armed soldiers and read the Riot Act. By 13 August seven men had been shot and injured and four were dead. This intimate and simply-staged historical piece is performed by two actors and produced by Breathe Out Theatre.